"My husband and I attended the 2015 Philippine Homeschool Conference and it helped us decide to continue our family's homeschool journey. We are excited to attend this year's conference to gather more insights and hear more inspiring testimonials from fellow homeschooling families." This was my answer to the quick survey that Tina ( www.trulyrichandblessed.com) posted on the Homeschoolers of the Philippines (HOP) Facebook page. She was gathering positive feedback among HOP members who attended the Philippine Homeschooler Conference last year. Last year's conference gave our family two important gifts to guide us in our homeschooling journey. First, it gave us affirmation that we are doing what is best for our child. The stories and informative lectures shared by fellow homeschoolers in the breakout sessions did not only encourage us to continue with our journey. It also fueled us with courage and boldness to take the primary responsibility of educating our child. 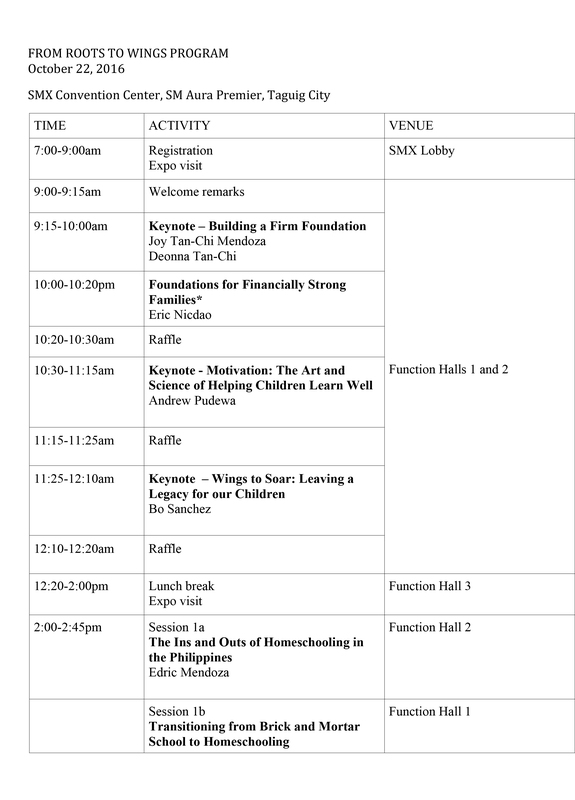 We made the right decision to participate in this learning event together with the growing number of homeschooling families in the country. We needed that collective push from the helpful homeschooling community to go for it and take that leap of faith. The conference also gifted us with tons of inspiration which we constantly use to survive the challenges and struggles we face in our journey. My husband and I still laugh whenever we recall Teacher Ched Azarcon's anecdote about the comment she got for being a "pabayang ina" because she didn't enrol her child in a traditional school. 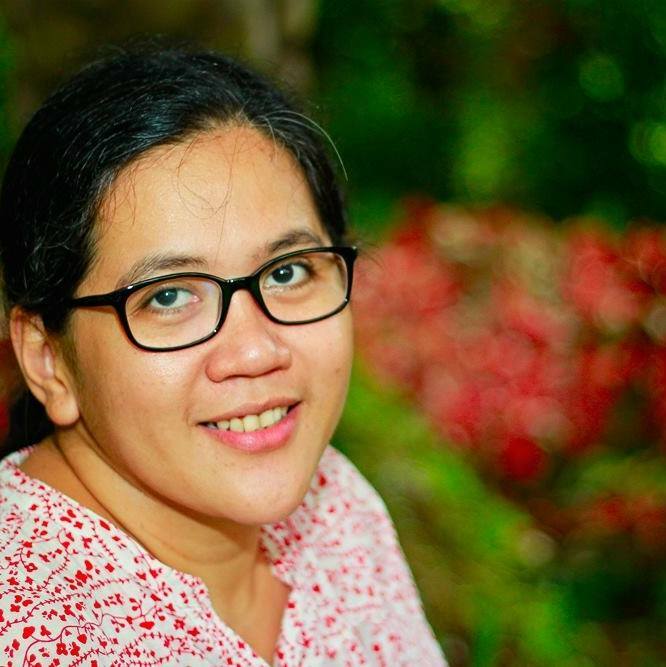 This "pabayang ina" independently homeschooled and responsibly guided her child to pursue her interests and eventually finish college in one of the best universities in the country. Inspiring, di ba? We would always remember this story and joke about our goal to be the "most pabayang mga magulang" in the future. We are attending this year's conference! Friends would always ask us how long do we see ourselves homeschooling Rio. I would always say that we are taking things one year at a time. Right now, we are enjoying every activity we do in our Kinder 2 year but we also encounter problems that sometimes make us question our capacity to fulfill our role as parent-educators. That's why we need to attend this year's conference - to recharge, refuel and strengthen our resolve to homeschool. 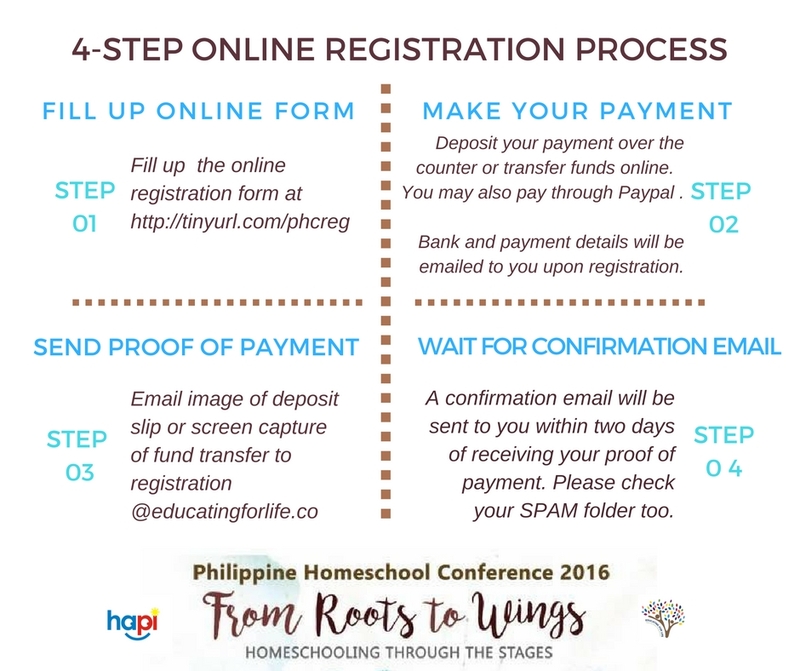 If you want to know more about homeschooling or to sustain your homeschool momentum, we invite you to attend this year's Philippine Homeschool Conference entitled "From Roots to Wings" on October 22, 2016 at SMX Convention Center, SM Aura Premier, Taguig City. Check out the program and choose the perfect break out session for your homeschool needs and stage. 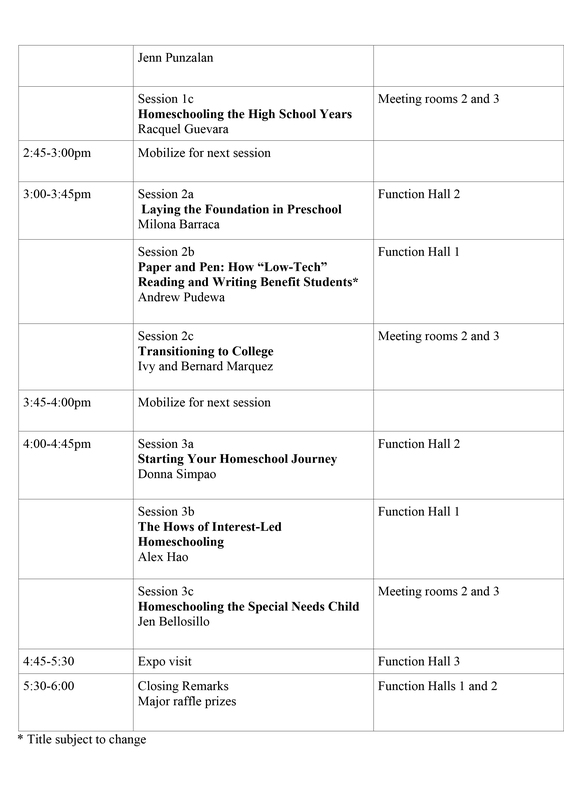 We might join Alex Hao's session on The How's of Interest-Led Homeschooling.Taralets!